Today, America is home to more breweries than at any other time in its history. Brewers Association, the trade group for small and independent breweries, just announced that the country has surpassed the 7,000 breweries milestone (7,082, to be exact)—with 2,000 more breweries in planning stages. Whenever the brewery count reaches another threshold like this, we hear the inevitable “Is it a bubble? Is it too many breweries?” The answer is no. If you heard that the U.S. was home to more restaurants than at any other time in history, would that constitute a bubble? There are still states that can count their breweries on (almost) two hands. The city where I live—Missoula, Montana, population about 75,000—is home to 10 breweries inside city limits. Montana’s population is just over a million people, but it supports a thriving local beer scene. 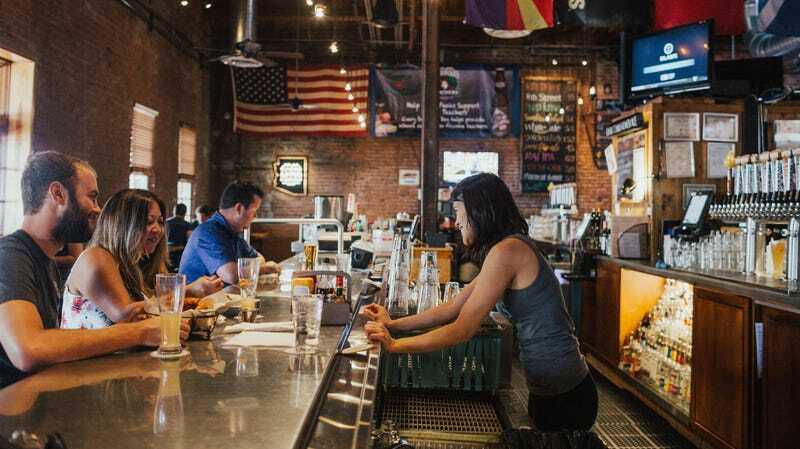 If a brewery’s plan is to stay small, serve just its town or county, maybe operate as a brewpub (with food) and sell most of its beer on-site, I’d argue there’s room for one of those in nearly every American town. At that scale, they’re like restaurants or coffee shops, really: They can survive just on the support of their small community. Where we may see some struggles are in the larger, regional breweries that depend on multistate distribution and selling their beer at grocery stores and sports bars. The past few years have been difficult for some breweries of that size—in 2016, Brewbound reported volume declined or stayed flat for 60 of the 168 mid-size, regional craft brewing companies. Much smaller breweries, on the other hand, can often survive based on sales in their taproom and maybe a couple bars in their hometown. With all these craft breweries operating today, what percentage of beer sold in America do you think is “craft” (made by small and independently owned breweries)? Go ahead, think about it. The answer is just 12.7 percent. Does that represent over-saturation? A bubble? I’m not naively expecting that number to jump much higher any time soon—even 20 percent seems unattainable given current trends. But is there still room for new taprooms, small breweries, and local brewpubs in plenty of towns across America? I’d say so. Why are America’s alcohol-shipping laws such a cluster$#&%—and will they ever change? What’s the best mass-market hard cider?